Dr. Ma has two decades of extensive hands-on and leadership experience in portfolio management, asset allocation, fixed income and global macro investments, and risk management. Prior to founding Julex, he worked as a Portfolio Manager with Geode Capital Management, where he launched a global macro hedge fund which traded currencies, commodities and equity options. Earlier, he served as Director of Quantitative Research and Financial Engineering with Loomis Sayles & Co., and Director of Quantitative Research and Risk Management with Fortis Investments. He led quantitative research and risk management groups to develop quantitative strategies, portfolio risk analytics and structured credit strategies. 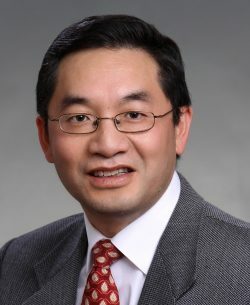 Dr. Ma also worked as Senior Vice President and Director of Fixed Income Strategies at Sun Life Financial, where he helped manage $30 billion in fixed income assets and chaired the investment strategy and asset/liability management committee. 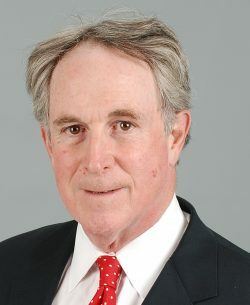 His investment career began with John Hancock Financial Services as a Senior Associate Investment Officer. He developed investment and derivatives strategies as well as oversaw $3 billion in a multi-asset portfolio. Dr. Ma is a published author and an industry speaker on the topics of quantitative investing, risk management and structured finance. He earned a Bachelor and a Master in Economics and Management from Peking University and a Ph.D. in Economics from Boston University. Brian brings over thirty years of capital markets experience to Julex Capital Management. He began his career at PaineWebber Group in institutional fixed income sales covering major and middle market accounts for investment grade and high yield corporate debt, residential and commercial mortgage backed securities, asset backed securities and rates. Brian spent over twenty- two years as a First Vice President at PaineWebber in this capacity. After UBS purchased PaineWebber, Brian transferred his skill sets to Deutsche Bank Securities in Boston as a Director in the generalist fixed income securities platform within the Capital Markets Group. In addition, Brian was retained by Taurus Investment Holdings, a Boston based real estate investment advisor, to assist in the distribution of the Taurus Horizon Fund I, an opportunistic fund investing in high quality CMBS tranches. Most recently Brian co-founded MacBride Partners. MacBride Partners was a consulting organization whose mission was to assist it’s clients in the investment management industry improve investment performance by implementing best practices in investment processes, risk management and faithfulness to stated investment philosophies. Brian graduated from the Carroll School of Management at Boston College with a BS in General Management / Marketing. Jeff brings over 20 years of investment management experience to Julex Capital, predominately as an institutional portfolio manager. He had portfolio management oversight of a high yield bond mutual fund and institutional strategies at State Street Global Advisors where he was a Vice President and Senior Portfolio Manager. 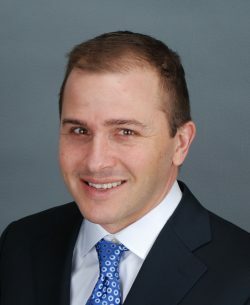 Prior to joining State Street, Jeff was a Senior Portfolio Manager at Fortis Investments where he helped establish Fortis’ structured credit business, launching the firms inaugural Collateralized Loan Obligation (CLO). While at Fortis, he established a comprehensive investment and credit review process and managed the firms Leveraged Loan platform. Before Fortis, Jeff held various credit position at CypressTree Investment Management and Prospect Street Investments. He received is BA in Economics from Framingham State University and his MBA in Financial Management from Northeastern University. In addition he holds the Charted Financial Analyst designation. Mr. Philbrook brings over 20 years of finance industry experience to Julex Capital. Most recently he was the Head of Finance, Alternatives and Performance at Geode Capital Management, LLC, with responsibilities ranging from firm and fund audit, firm GIPS verification, Treasury, Client relations, Compliance, Marketing and Valuation. He also worked at Fidelity Investments managing accountants responsible for High Yield fund valuation and as a Senior Analyst working directly with Portfolio Managers on corporate action research and election. 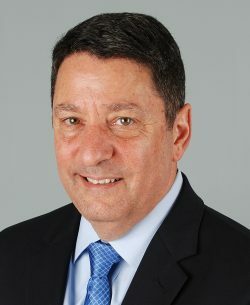 He also worked for Brown Brothers Harriman as part of a centralized management team responsible for department policy and performance measurement. He received his BS in Business Administration with a dual concentration in Finance and International Business from Northeastern University. He received his MBA from Southern Methodist University.